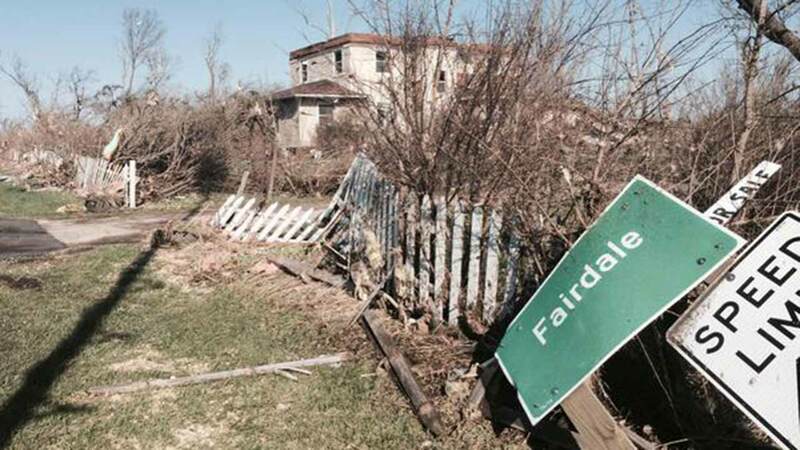 FAIRDALE, Ill. (WLS) -- Sunday marks the two-year anniversary of a deadly tornado that touched down in Fairdale in DeKalb County. Two women were killed on April 9, 2015 after the EF-4 tornado brought 200-mph winds to the town about 80 miles northwest of Chicago. Every home in the town of about 150 people was damaged, with 17 buildings destroyed. Geraldine Schultz, 67, and Jacqueline Klosa, 69, were found dead in their neighboring homes. The two were friends and lived in the middle of town. "Loved being outside planting, spending time with her dogs. She loved to feed ya," said Leo Cardot, Schultz's friend and neighbor. 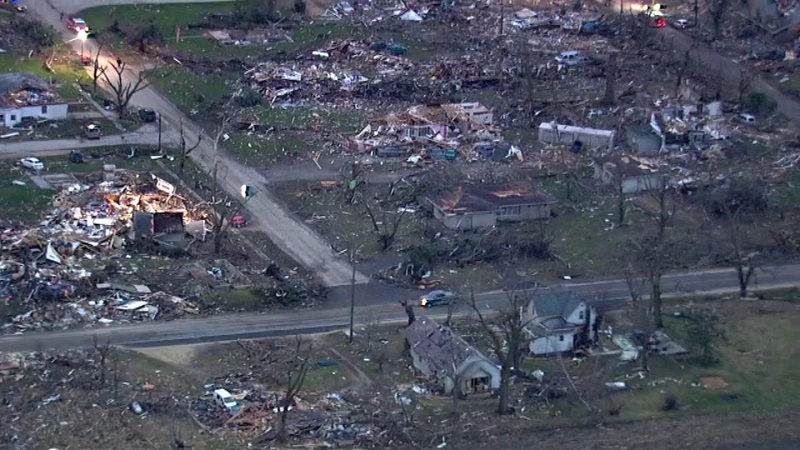 Daybreak offers the first look of the damage from a tornado that cut through Illinois on April 9, 2015. One person was killed and several were injured in Fairdale. Klosa's body was found in her bathroom by recovery workers. She had sought shelter there and had spoken with her sister just minutes before the tornado hit. "She apparently tried to wait out the storm, which was the right thing to do, but unfortunately her house was struck by the path of the tornado," Dekalb County Coroner Dennis Miller said. Klosa's daughter said her fear of spiders likely kept her out of her basement. YouTube, Facebook, Twitter, and Instagram users all shared their scary and devastating perspectives on the tornadoes and storms that ripped through Illinois Thursday night. "She would take off her glasses if she had to kill one cause she didn't want to have to see it," said Yvette Dewisplelaere, Klosa's daughter.